OST:part 1 Jinsil - "Little Silhouette"
'Red Moon Blue Sea' starts with an accident that is too short to change life, and it brings up the process of encountering various events and digging the truth. Cha Woo-Kyung works as a child counselor at a children’s center. Her life is perfect. A satisfactory workplace, a caring and capable husband, a sweet hearted daughter, and soon to be born are the culminating moments of a life that is at the peak of happiness and a solid life. Red Sun, Blue Sky” is about a woman whose life falls apart due to a huge incident that happens in span of time too short to change it. She encounters various incidents as she uncovers the truth. Lee Joon-Hyuk has been offered the lead male role but he declined. Woo-kyeong (Kim Sun Ah) works at a children’s center and she is a woman with a satisfying career, a caring and capable husband, a sweet daughter, and another child on the way. At the very peak of happiness, her life suffers a terrible blow. She gets caught up in a huge incident that cracks open her stable and comfortable life. Kang Ji Heon ( Lee Yi Kyung) is a detective in the violent crimes unit who doesn’t necessarily seem like a particularly righteous or duty-driven officer, and might even occasionally seem like an unemployed slacker, but is actually a decent and determined cop. Contrary to his lax-seeming image, when he does land on something that grabs his attention, he focuses his efforts with a surprising tenacity. Lee Yi Kyung is cast as detective Kang Ji Heon in MBC’s upcoming drama “Red Moon, Blue Sea” (literal translation). Kang Ji Heon is a violent crimes detective with a strong faith in justice and law. He finds it hard to express his emotions freely due to the incidents from his past which he keeps as a secret. Although he looks like an easygoing person on the outside, there’s a serious story behind him. Since Lee Yi Kyung was praised for his acting in “Partners for Justice,” viewers are curious to find out what kind of acting he will show through the character Kang Ji Heon. The drama “Red Moon, Blue Sun” will tell the story of a woman who lost everything after an accident that happened in a moment’s time and the incidents that she encounters while trying to find out the truth behind the accident. Kim Sun Ah is in talks to play the lead. Lee Yi-Kyung is cast for the lead male role in MBC drama series “Red Moon Blue Sun” (literal title). Actress Kim Sun-A has been offered the lead female role and she is still considering the offer. For the drama series, Lee Yi-Kyung will play Detective Kang Ji-Hun. He carries emotional scars from his past that he tries to hide. “Red Moon Blue Sun” will first air November, 2018 (takes over MBC’s Wednesday and Thursday 10PM time slot after “Terius Behind Me“). I hope that Kim Sun-A takes the female lead role. She's fantastic. Kim Sun Ah may be appearing on the small screen again! MBC’s “Red Moon, Blue Sea” is about a woman whose life falls apart due to a huge incident that happens in span of time too short to change it. She encounters various incidents as she uncovers the truth. Kim Sun Ah has been offered the lead role of Cha Woo Kyung, and if she accepts, this will be her first MBC drama in six years since “I Do I Do.” She most recently starred in SBS’s “Should We Kiss First” earlier this year. Be still my heart, because I don't think I can handle this news. Actress Kim Sun-ah may be making a comeback in "Red Moon, Blue Sun". The project, which sounds like a dark and gritty mystery, has given me three names I absolutely want to see together. Give this to me, Dramaland. Give this to me now. "Red Moon, Blue Sun" is the story of a woman, whose life suddenly falls apart due to an accident too sudden to prevent, becoming involved in several incidents as she searches for the truth. Kim Sun-ah is courted for this heroine, Cha Woo-kyeong. Woo-kyeong is a woman with a satisfying career, a caring and capable husband, a sweet daughter, and another child on the way. At the very peak of happiness, her life suffers a terrible blow. well, I will re-post some info I got about this drama from the Kim Sun Ah soompi forum. 배우 김선아가 차기작으로 '붉은달 푸른해'를 택했다. Actor Kim Sun-ah is considering 'Red Moon Blue Sun' as her next project. 한 드라마국 관계자는 23일 일간스포츠에 "김선아가 MBC 새 수목극 '붉은달 푸른해' 주인공으로 나선다"고 전했다. 이 작품은 현재 방영 중인 '시간'의 후속작 '내 뒤에 테리우스' 방영 이후 만나볼 수 있다. A drama official said on the 23rd (of August), "Kim Sun-a was offered the lead protagonist role in MBC's new Wednesday-Thursday drama "Red Moon Blue Sun". This work can be seen after the airing of "Terius behind me", which will follow "Time" which is currently on air. '붉은달 푸른해'는 인생을 송두리째 바꾸기에는 너무나 짧은 순간 겪은 사고로 인해 시작, 여러 사건과 마주하며 진실을 파헤치는 과정을 담아낸다. "Red Moon Blue Sun" starts with an accident that is too short (or fast?) to be avoided, and it brings up the process of encountering various events and digging the truth. 김선아는 극 중 차우경 역으로 분한다. 만족스런 직장, 자상하고 능력 있는 남편, 다정다감한 딸, 곧 태어날 둘째까지 행복의 절정이던 중 큰 사건에 휘말리며 견고한 삶의 균열을 맞는다. 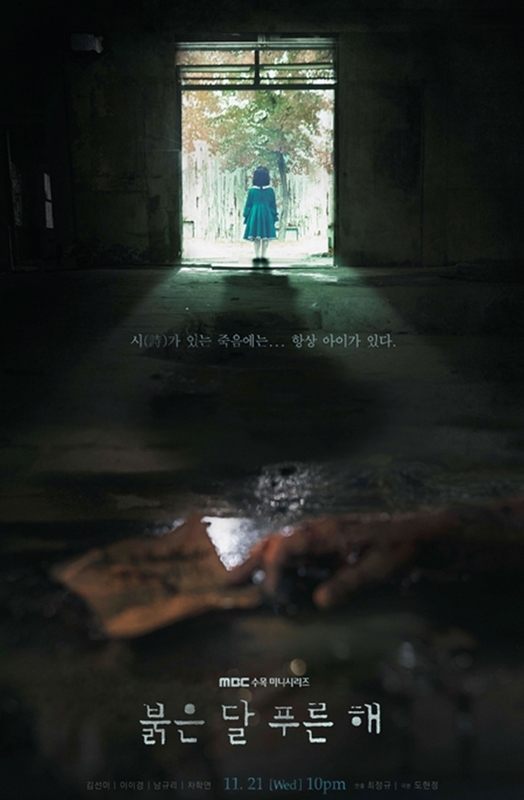 이 과정이 16부(중간 광고 포함 32부)에 촘촘하게 채워지며 극의 긴장감을 전해줄 예정이다. Kim Sun-ah is offered the role of "Cha Woo-kyung". She has a stable job, a caring and capable husband, and a sweethearted daughter, and what happened next on her is the culminating moment of a life that is at the peak of happiness and a solid life. It will have 16 episodes (32 episodes including the mid-airing commercials) filled with tension and emotion. SBS '키스 먼저 할까요?' 종영 이후 7개월 만에 안방극장으로 돌아온다. MBC에는 2012년 방영된 '아이두 아이두' 이후 6년 만이다. 열일 행보를 걷고 있는 김선아가 '붉은달 푸른해'로 어떠한 연기 변신을 보여줄지 기대감을 높인다. If she accepts, this will be her comeback after "Should we kiss first?" on SBS seven months ago. This will also be her comeback on MBC after "I do I do" six years ago. People will anticipate what kind of transformation she will show with "Red Moon Blue Sun". 드라마 '마의' '투윅스' '트라이앵글' '화정' 등을 연출한 최정규 PD가 메가폰을 잡는다. '마을-아치아라의 비밀' '사랑도 돈이 되나요' '케세라세라' '늪' 등을 쓴 도현정 작가가 집필한다. 11월 첫 방송. The drama is directed by PD Choi Jung-kyu ("The King's Doctor", "Two Weeks", "Triangle", "Splendid politics" - all aired by MBC). Screenplay will be provided by Do Hyun-jung (SBS "The Village: Achiara's Secret", MBN "Can love become money", MBC "Que sera sera" and "Best Theater Presents: Swamp"). It is scheduled to air in November. Apparently, the drama being offered to her is produced by the soon-to-be-launched production company under Kakao. The writer (Do Hyun-jung) is under that production company. 업계 "카카오톡-멜론, 강한 결합의 서비스 기대"
Industry "KakaoTalk-melon (synergy), strong expectation of service"
아울러 카카오는 이번 합병 시 카카오M에서 멜론 사업부와 한솥밥을 먹던 영상 사업 부문과 음악 사업 부문도 함께 가져왔지만, 연내로 이 두 사업을 따로 분사시켜 각을 세운다. 카카오는 또 자사 드라마 제작사 메가몬스터가 제작한 드라마를 4분기 중으로 MBC에서 방영할 예정이다. In addition, Kakao also brought together the video and music business divisions of Kakao M, which had been involved with the melon division at the time of the merger. Kakao also plans to broadcast the drama produced by its own drama production company Mega Monster in MBC during the fourth quarter. 카카오 관계자는 “메가몬스터가 제작한 드라마를 4분기에 MBC에서 방영할 예정”이라며 “합병이나 분사에도 사업은 연속성이 있게 유지된다”고 밝혔다. "The drama produced by Mega Monster will be broadcast on MBC in the fourth quarter," a Kakao official said. "It was not affected by the merger (of Kakao and Kakao M)." 카카오는 연내 음악·영상 사업 부문을 분사할 예정이다. 카카오는 해당 부문 분사에도 차질 없이 사업을 이어간다는 계획이다. 특히 드라마 제작사 메가몬스터에서 제작한 드라마를 4분기 중 MBC를 통해 공개할 예정이다. Kakao plans to spin off its music and video business (as an independent subsidiary) during the year. It is planning to continue business without any problem. In particular, the drama produced by the drama production company Mega Monster will be released through MBC during the fourth quarter. 카카오는 영상 콘텐츠 제작사로는 모바일 영상에 특화된 ‘크리스피 스튜디오’와 드라마 전문 제작사 메가몬스터를 두고 있다. 크리스피스튜디오는 모바일에 최적화 된 스낵형 예능 및 웹 드라마 콘텐츠를 제작하는 회사다. 메가몬스터는 CJ ENM의 드라마 제작사 스튜디오드래곤과 공동 투자형태로 탄생한 회사다. Kakao has 'Krispy Studio' specialized in mobile video contents and 'Mega Monster' that specializes in drama production. Krispy Studio is a company that produces mobile-optimized web entertainment and web-streaming content. Meanwhile, Mega Monster is a company that was co-invested with CJ ENM's drama production company Studio Dragon. Kim Sun Ah is confirmed to star in MBC’s upcoming drama, “Red Moon, Blue Sea” (literal translation). 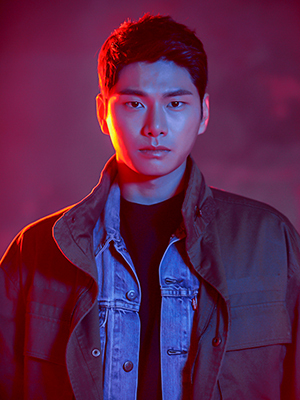 Previously, Lee Yi Kyung was also confirmed to play the lead. “Red Moon, Blue Sea” will tell the story of a woman who lost everything after an accident that happened in a moment’s time and the incidents that she encounters while trying to find out the truth behind the accident. Kim Sun-A is cast in upcoming MBC drama series “Red Moon Blue Sun” (literal title) co-starring Lee Yi-Kyung. Kim Sun-A will play lead female character Cha Woo-Kyung in the drama series. Cha Woo-Kyung works as a child counselor and she is also a good wife and mother. Her life seems perfect, but she gets involved in a mysterious case that takes place continuously. “Red Moon Blue Sun” will first air November, 2018 in South Korea (takes over MBC’s Wednesday and Thursday 10PM time slot after “Terius Behind Me“). this sound pretty good. And i love kin sun ah acting. Waiting this drama to start. UPDATE: Nam Gyu Ri will join "Red Moon Blue Sun" as Jeon Soo Young. Kim Sun Ah, Lee Yi Kyung and Nam Kyu Ri are all confirmed for lead roles in 'Red Moon Blue Sun'. MBC's new Wednesday-Thursday drama 'Red Moon Blue Sun' (written by Do Hyun Jeong/directed by Choi Jeong Kyu/produced by MEGA MONSTER), which will follow the currently airing "My Secret Terrius", is a mystery thriller about a woman facing so many incidents in her search for the truth. In the meantime, we are anticipating the psychological investigation that could not be easily encountered in television dramas and are attracting the curiosity and expectation of the preliminary viewers. Nam Gyu-Ri is cast in MBC drama series “Red Moon Blue Sun” (literal title) starring Kim Sun-A and Lee Yi-Kyung. Nam Gyu-Ri will play second lead female character Jeon Soo-Young in the drama series. Her character is scripted as a mysterious woman. "Kakao, new business to be launched in full swing"
KTB Investment & Securities said on Oct. 8 that new business results such as full-fledged video production business of Kakao M will reflect to Kakao's earnings, maintaining the BUY rating and target price of KRW150,000. According to Lee Min-ah, researcher of KTB Investment & Securities, "In the third quarter, sales of Kakao are estimated at 598.6 billion won and operating profit at 26.6 billion won. Operating profit is expected to fall below the consensus of W34.1bn. Despite the low season, It is expected to be good. " "After Kakao Pay's introduction of QR payment, the merchant merchants broke 100,000 transactions" she added, and in the offline trading business, "We also need to pay attention to the introduction of profit structure through the acquisition of investment securities." "In the second quarter of the year, the operating deficit of Kakao Bank dropped to -68.8 billion won, and it is positive that shareholder expansion and capital expansion are likely to increase due to the passing of the Specialized Banking Act of the Internet. I can enjoy preemption effect. " Researcher Lee also said, "The new company, Kakao M, which was founded after the merger with Kakao M (formerly Loen), is expected to engage in the investment, distribution, licensing and production of music and video content business in the future. 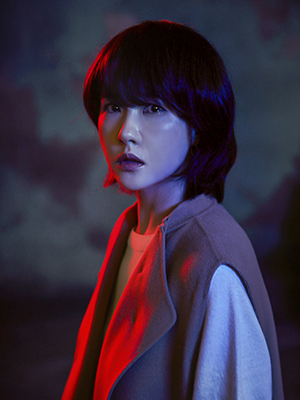 In 4Q 2018, subsidiary MEGA MONSTER's creation "Red Moon Blue Sun" (starring Kim Sun-ah, Lee Yi-kyung) will be aired by MBC, then on January 2019 the Kakao Page webtoon-based drama "My heart is reaching (starring Lee Dong-wook, Yoo In-na) (a co-production with Studio Dragon) will be airing on tvN, so the company is expected to expand business gradually." I'm a fan! I can't wait for this! finally posted this. script is in! VIXX’s N has decided on his next acting project! The idol will be joining the cast of MBC’s upcoming Wednesday-Thursday drama, “Red Moon, Blue Sea” (literal translation). The mystery-thriller is about a woman whose life falls apart after a mysterious incident as well as after encountering a mysterious child. Using poems as clues, she tries to uncover the truth. Kim Sun Ah is confirmed for the lead role of Cha Woo Kyung, while Lee Yi Kyung will star as violent crimes detective Kang Ji Heon. 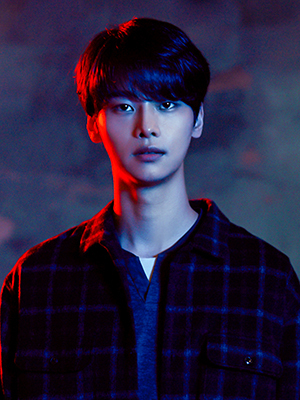 N will be playing Lee Eun Ho, a kind-looking individual who works at a childcare center but gets caught up in a mysterious accident. While extremely introverted, he loves children with all of his heart and becomes much brighter, happier, and more energetic around them. After making his acting debut in 2014 through “Hotel King,” N starred in several other productions, with OCN’s “Tunnel” in 2017 and tvN’s “Familiar Wife” earlier this year being his most recent works. In the meantime, check out N in “Familiar Wife” below! Lee Hwa-ryong recently decided to appear on MBC's new drama 'Red Moon Blue Sun' and started preparing for a full-scale shoot. Lee Hwa-ryong is a forensic doctor who is revealing the death of the dead. It will increase the level of immersion by taking on a professional character who sets the stage for solving the case and helps Kang Ji Heon (Lee Yi Kyung). Kang Mal Geum (thespian) joins cast of "Red Moon Blue Sun"
"Actor Madang" (the casting agency in charge of casting child actors in the drama) posted some regarding this drama on its IG. I recognized the little girl from Secret Mother. Her name is Choi Na rin and she is adorable. All kids are very nice. Is that Ha Joo Hee (Love Clinic)?